Successful Topics: What is Emotional Intelligence? Impact, more Self-Awareness, create best possible Product or Service, more Emotional Control, better Self-Management, better Leaders, more Social Awareness, Improving your Relationship Skills, Becoming more Emotionally Intelligent. Not just anyone can be an Entrepreneur. There are a number of valuable skills that are needed to grow a business from nothing to something. 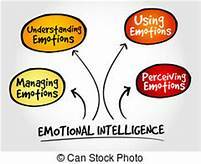 However, as a Business Owner/Founder, improving your Emotional Intelligence (EI) will help sharpen your existing skills to make you more successful. While this conception may vary person to person, certain aspects remain constant: 1) high Intelligence, 2) the ability to persevere in the face of adversity, 3) a passion for what they do, 4) a sense of fearlessness, 5) the ability to adapt quickly, etc. These are the types of traits that spring to mind first—the quintessential smart, strong-willed, unfailingly confident Entrepreneur, blazing his own trail. No doubt about it, these are important qualities to have. But realistically, while they matter, they might not be the end-all, be-all when it comes to successful Entrepreneurship—and they may not be indicative of long-term success, either. What Traits really make the difference? [EI] Emotional Intelligence isn’t just a nice thing to have in your personal life; it’s becoming increasingly valuable in the business sphere, too. With that, here’s a look at what Emotional Intelligence entails, how it can impact you as an Entrepreneur and enhance your success & efficiency, and what to do if you think your Emotional Intelligence skill set could use a little improvement. #1. What is Emotional Intelligence? know how to talk about their Emotions at an elevated level. That is to say, the language they use to describe Emotional states isn’t just “good” or “bad”; they can pinpoint that they (or someone else) might feel “anxious,” “overwhelmed,” “elated,” and so on. “care” about what people around them are going through. Because they’re empathetic, they seek to find out how those around them are feeling. aren’t afraid of Change. They are flexible, adaptable, and can handle shifting situations. aware of their own Strengths & Weaknesses. They have a clear sense of what situations and types of people trigger both positive and negative emotions in themselves. Socially Aware. They are good judges of character and can read others well. Confident in who they are. This means they don’t get offended or hurt easily, because they’re secure in themselves. when to say NO. Emotionally intelligent people aren’t going to bend over backward to meet every whim, because they know their limits. don’t hold onto Mistakes or Grudges. They know when to move on, and don’t keep things bottled up. #2. How does Emotional Intelligence impact Entrepreneurs? In terms of Entrepreneurship, having high EI is extremely beneficial. With high EQ comes a better understanding of the needs, feelings, & overall situation of others. As such, an Entrepreneur with high EI can better create a product or service to fit the needs of their target customer. Similarly, Entrepreneurs with high EQ can better work with and understand their co-workers & customers + cultivate better relationships with them as a result of their heightened sensitivity to the Emotional states of those around them. Finally, if you work to cultivate Emotional Intelligence, you’ll be able to regulate your own emotions better. So, if you have a frustrating Customer and have to deal with a mistake (either yours or someone else’s), or face other workplace-related annoyances, you’ll be more easily able to control your emotions, and avoid taking them out on others – which worsens the situation. This will inherently make you a stronger Entrepreneur, as you’ll be easier to do business with, and not run the risk of losing Customers or alienating those you work with- based on an angry outburst or harsh word. When interacting with whatever types of people you encounter in your business (whether they be Customers, Investors, Suppliers, or other business Colleagues), make sure to consider the emotions they’re experiencing, and see where they’re coming from – so you know how to re-act. your inner Emotions: When you do this, you can better overcome difficult situations that come with starting your own business. the outside Influences: How do you respond to a negative employee or client or other bad news? Understanding how your emotions will affect them is vital to maintaining important business relationships. #4. With EI, you can offer the best possible version of your Product or Service. Nearly all great services and products were developed to fit a need. An essential trait of successful business leaders is the ability to see a need in a market that needs to be filled. The product you offer almost certainly fills a need (or it should). Entrepreneurs who possess high levels of Emotional Intelligence are better able to tap into the needs of their customers’ and optimize their offering to best meet this need. Better EI = meeting Customer needs better. They are tuned into their customers; they know exactly where they are struggling. They know if they’re desperate for a product that is “Cheaper, Faster, Better”, they can use this understanding and care for their customers to create the best possible product for them. Are your Customers frustrated that nothing else has worked for them? Are they stressed, and seeking a solution to an annoying problem? Are they confused, and looking for a professional to help steer them in the right direction? Tapping into the Emotional needs of your target customer makes it easier to tailor your service to suit them. #5. Entrepreneurs w/ EI don’t let their Emotions get the better of them. It’s never ideal to be the kind of person who storms angrily out of the room—and it’s especially dangerous to be this person in a professional setting. Emotionally Intelligent Entrepreneurs [EIE] (different than IEEE),are able to manage their emotions, and not let their emotions get the better of them. If they become angry or upset, they don’t take their emotions out on others; rather, they deal with the issue calmly, and find a way to control and mitigate their own anger. EIE know how to channel their emotions productively. If they are disappointed with the outcome of a previous project, they can channel this disappointment into making sure they achieve a better outcome next time—instead of sulking and dwelling on the past. Don’t let your emotions rule the choices you make in the workplace. Instead, find productive ways to deal with your emotions, and work to channel emotions into productive, positive output. Not only that, make an effort to avoid formulating an overly Emotional response—in other words, don’t let your anger, hurt, or sadness get the better of you in the workplace, as it could potentially damage your professional relationships. When you’re starting a business from the corner of your living room on a cluttered desk or your garage, with distractions all around, it’s critical that you utilize your ability to self-manage. However, managing yourself doesn’t only mean at the desk; managing your emotions, your work ethic & life balance will be integral to succeeding. Controlling your Emotions: Controlling how you “react” is an important aspect of Entrepreneurship. Maintaining a (+) positive outlook and keeping calm are absolutely necessary. Managing Yourself: Without a Boss, your success is fully dependent on the discipline you have to manage your emotions – no matter what happens (dis-appointments, failures, etc). #7. Emotionally Intelligent Entrepreneurs [EIE] are better Leaders. Good leadership is all about understanding the people you’re working with. Whether this is your Team, the Investors you’re pitching your idea to, or your present Customers or the Customers you’re pursuing, having strong leadership skills is an essential part of Entrepreneurship. EIEs uses their understanding of the needs of others to be a stronger leader. When it comes to being a leader, they rely on empathy and understanding, not an iron fist. Use your EI to forge genuine connections with those interface with. If you manage a Team, invest time into building relationships with them. If your goal is to become a visionary Idea leader, focus on what you can add to the conversation thru building a network—rather than propping yourself up for your own self-interest. You’ll naturally become a stronger leader though your focus on the emotions & needs of those around you. While Entrepreneurship lends itself to a lot of solo work, it’s important that you develop a successful social understanding of others, as well. From listening to employees & customers, to understanding the dynamics of your business & industry + learning – to continually improve. Listen to Ideas; Ask for Feedback: The most important aspect of being a successful Entrepreneur is remembering that other people have valuable knowledge. Tap into it to make you, your employees & customers better & happier. Final aspect of your Entrepreneurial Emotional Intelligence is being able to understand and recognize the emotions of others on a one to one basis. This will be beneficial to you in a number of ways including handling employees & customers. Managing: When you have employees, your EI will be crucial to maintaining an open & nurturing relationship. Being able to understand the emotions of the people who work for you will allow you to manage conflict in an appropriate & positive manner + plus recognize their contribution – which will further motivate them. Empathy: When you understand the emotions of employees & customers, you can better relate to them. This makes you a more well-rounded leader who is approachable & enjoyable to work with – which will help you be more successful. Concerned that your EI skill set isn’t functioning at quite the level you’d like it to be? Don’t worry. It is possible to become more Emotionally Intelligent. Our EI isn’t fixed—like practicing a new language or hobby, this skill set can be learned and improved. If you want to cultivate more EI in your life, start by focusing on how you feel. Make a conscious effort to observe your own emotions throughout the day, and put a clear, descriptive name to what you’re feeling. Similarly, you’ll want to make an effort to focus on your actions, and how they relate to the emotions you’re experiencing. Note whether or not your choices throughout the day are driven by your emotions, and what emotions drive certain actions. Comments: Do you know any other way to increase you Emotional Intelligence?